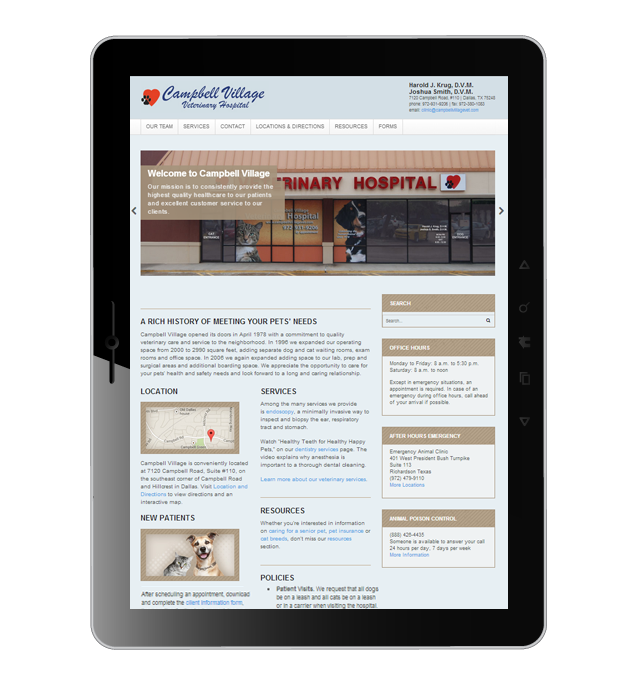 Campbell Village Veterinary Hospital needed to replace their Flash site with a responsive site that would allow clients to access information on smart phones, tablets and computers. A focus is placed on the hospital’s rich history, contact information and directions. While working on their first site in 2007, Dr. Krug, sketched a logo design on a scrap of paper and we worked together to produce a vector version. It now appears on his employee’s name badges, business cards and beside the name on the outside of the building.